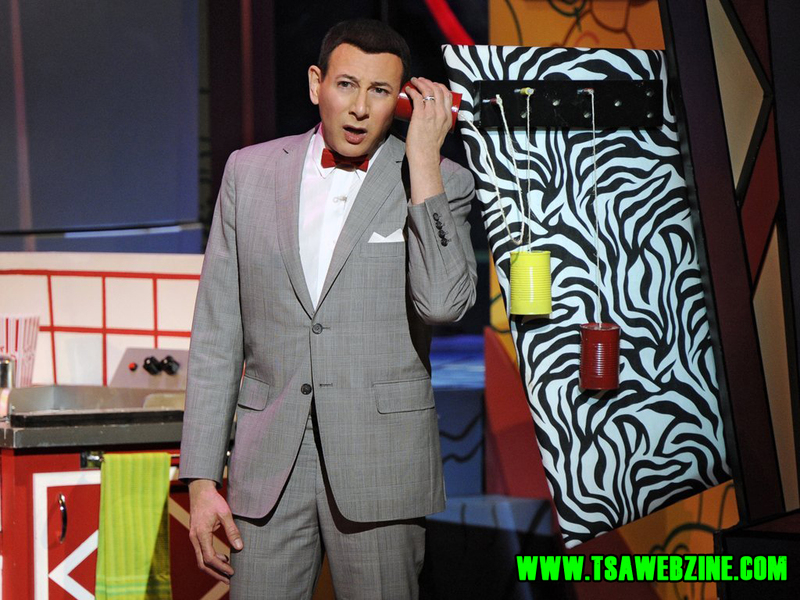 Review: Back 30 years ago in 1981 Paul Reubens brought together his trademark character Pee-Wee Harman with a band of misfit characters to do his live show The Pee Wee Herman Show for HBO and was filmed at The Roxy and now 30 years later Pee-Wee Herman is back with his stage show but this time around he mixed up his older stage show with characters and themes from his TV show Pee-Wee's Playhouse. 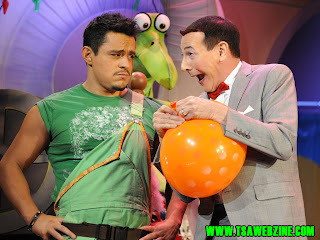 There is some changes that he did to the show as well as adding new characters in and some current pop-culture references as well. 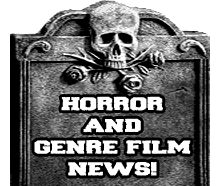 The new characters that Reubens has brought to the show are Sergio (Jesse Garcia), Bear (Drew Powell), and Firefighter (Josh Meyers) which all of these characters help add to the story and make it more vast. 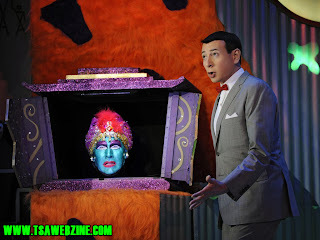 You do get returning cast members as well and some new ones playing older characters, Paul Reubens of course comes back as Pee-Wee Harman (live and TV show), Lynne Marie Stewart as Miss Yvonne (live and TV show), John Moody as Mailman Mike (original live show), John Paragon as Jambi (live and TV show). 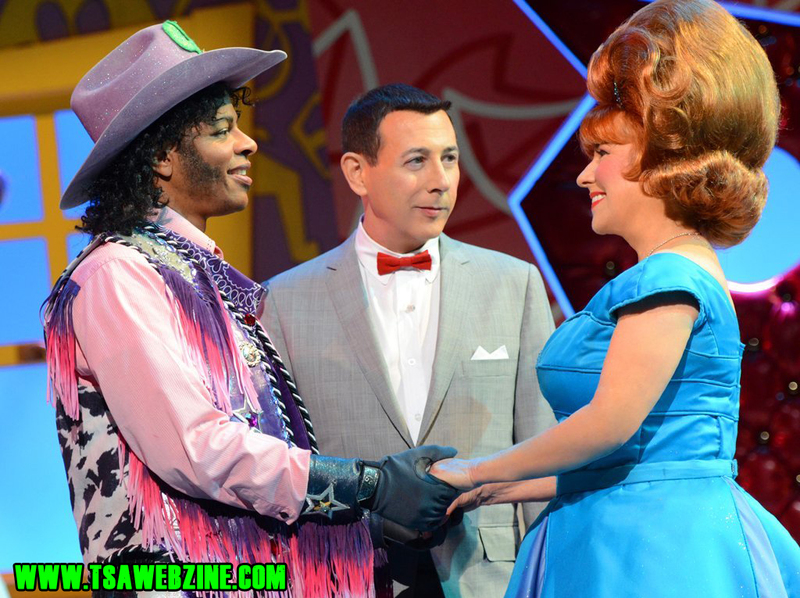 The new cast for older characters are Cairry played by Lexy Fridell, Cowboy Curtis played by Phil LaMarr, and King of Cartoons played by Lance Roberts. The main person I missed was of course Kap'n Karl which was played by Phil Hartman (R.I.P.) on the TV series as well as the 81' special. The shows story basically is alot like the original 81' live show where Pee Wee gives away a wish he was going to use to be able to fly in order to get Cowboy Curtis to really like Miss Yvonne, but Pee Wee isn't truly happy to of given away his wish along the side of that part of the story they also follow the other characters of the playhouse as they try to show Pee Wee that he does not need a high tech computer and all he needs is them . Around that main storyline there is a ton of other jokes, skits, and even a Penny Cartoon from The King of Cartoons as well as the Mr. Bungle PSA. There was a couple of parts where I was wondering what the hell they were doing in there and it was the parts where they either talk about or even refer to "As Seen On TV" items and even making a character after a Sham Wow. Just like you would expect there is a decent amount of adult humor added in but it's the kind that adults will get and about all children will not so it's safe to show to kids as well. 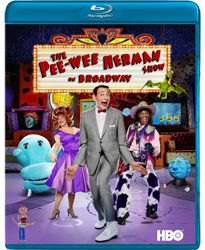 This is definitely the thing all of us Pee Wee fans have been waiting for next to an actually new Pee Wee Herman movie. The picture on this Blu-ray looks awesome and definitely met my expectations, oddly it's in 1080i but that could be due to them presenting it in the original broadcast (most TV broadcasts only go up to 1080i). The audio is awesome as well, it's very clear and sounds perfect. There is only 1 bonus feature on the disc and it's a commentary track with Paul Reubens & Cast which has some adult language so you should probably listen to that while the kids are gone! 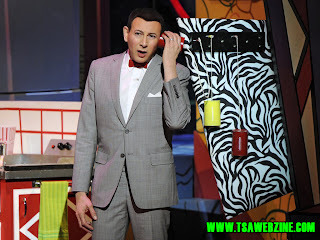 Overall this was an amazing show that Reubens and crew put on and really brings back alot of childhood memories, definitely a must have for all fans of Pee Wee Herman!